Vizivaros is the area of Budapest located between the Castle District and the Western bank of the Danube extending Northwards to Margaret bridge (Margit híd) and Westwards to Moscow Square (Moskva tér). The main street that runs the length of the Vizivaros area is called Fõ utca (Main Street). All along Fõ utca you will find cafés, restaurants, several Baroque buildings and churches. Fo utca runs parallel to the embankment promenade where you can enjoy the calming atmosphere of the river and see some beautiful views of Pest. This church was originally built in the middle Ages, converted into a Mosque during the Ottoman occupation and rebuilt in a Baroque style in the 18th century. It was built in 1900, and is home of the Hungarian State Folk Ensemble. It is located on Corvin tér 8. It was built on the site of a former medieval pottery market between 1893-1896 by Samu Pecz. 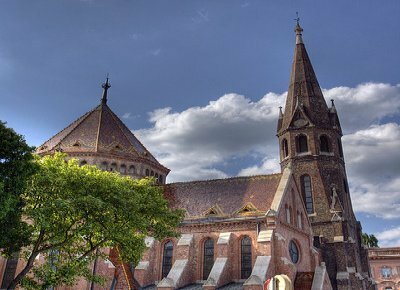 This red brick neo-Gothic church has a beautiful Zsolnay ceramic tiled roof . This square is named after count Lajos Batthyány (the prime minister during the Hungarian Revolutionary War of 1848-9). There is a (Red line) M2 Metro station here as well as the first station of the Local and Suburban Railway line (HEV) to Szentendre. 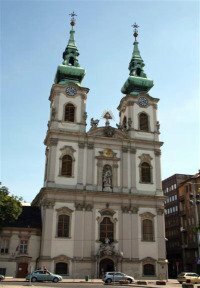 It is a twin – clock towered temple built between 1740 and 1762 by Kristof Hámon . This church is decorated in gold and white, with frescoes on the ceiling and magnificent baroque details in every corner of the church. 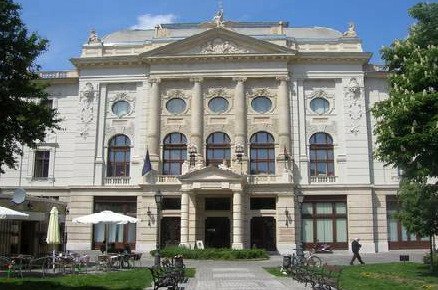 It is considered one of the most beautiful baroque buildings in Budapest. 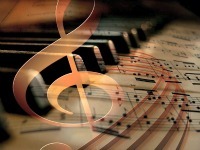 Organ concerts are held on Fridays from May until late September. It was the first covered market in Buda, dating from 1902. Today it houses a supermarket and an assortment of shops. 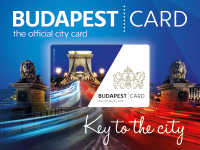 It is located on Fõ utca just in front of the Square. Next to it, there is a pancake (palacsinta) restaurant which is very popular among locals, offering a wide variety of choices both sweet and savoury . Give it a try ! Batthyány Square is my favourite spot in the Vizivaros, from here you can enjoy excellent views of the Parliament and Pest. In Vizivaros, at Fõ utca 84 you will find the popular Király Bath. 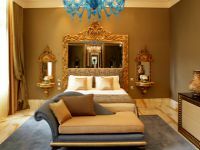 Built in the 16th century, this Ottoman era treasure is a small bath that contains a central domed hall with surrounding octagonal pools. It was renovated for the last time in 1950, so it still retains its nostalgic atmosphere which some people find interesting and exciting but for some others it just looks a bit neglected. Open on alternate days for men and women; note that it is a popular meeting place for the gay community. This is a mausoleum where the Ottoman Bektashi dervish Gül Baba lies. He was one of the few Turks who was respected and revered by the people of Hungary,and was well known for his poetry, his piety, and his love of nature. Gül Baba is also known as the ‘Father of Roses’, as, according to legend, his name came from the rose worn on his turban,and he is also believed to have introduced the flower into the country . He died in 1541 and the tomb was built by the Turkish authorities in Hungary between 1543 and 1548. It is the Northernmost site of Islamic pilgrimage. 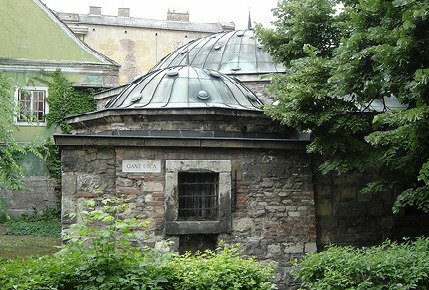 Gül Baba’s octagonal resting place is located on Mecset utca , a short but steep walk from Margaret Bridge up to Rózsadomb, which means „Rose Hill”. This is a very peaceful spot in Vizivaros , although in a central part of Buda. 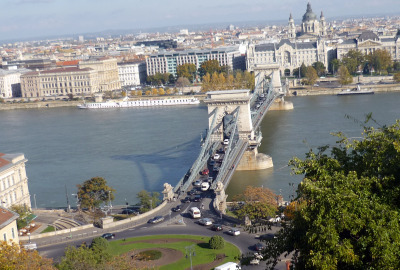 From here you can catch an interesting view of the Danube and Pest. The Lukács Bath is the oldest and one of the most attractive of Budapest’s baths. This Neo Classical bath complex was built in 1894. Besides its many pools its facilities include a whirlpool, a hot water mud bath, weight baths, steam baths, underwater jet stream massage, a rooftop sunbathing terrace and a mineral water drinking hall. Recently, a modern wellness section has been added to the whole complex. Natural hot springs keep these pools heated all year round allowing you to bathe comfortably even in winter time. The Lukács Bath is located on Frankel Leo utca 25-29, a short walk from Margaret Bridge. Open Daily from 6:00 am – 7:00 pm.